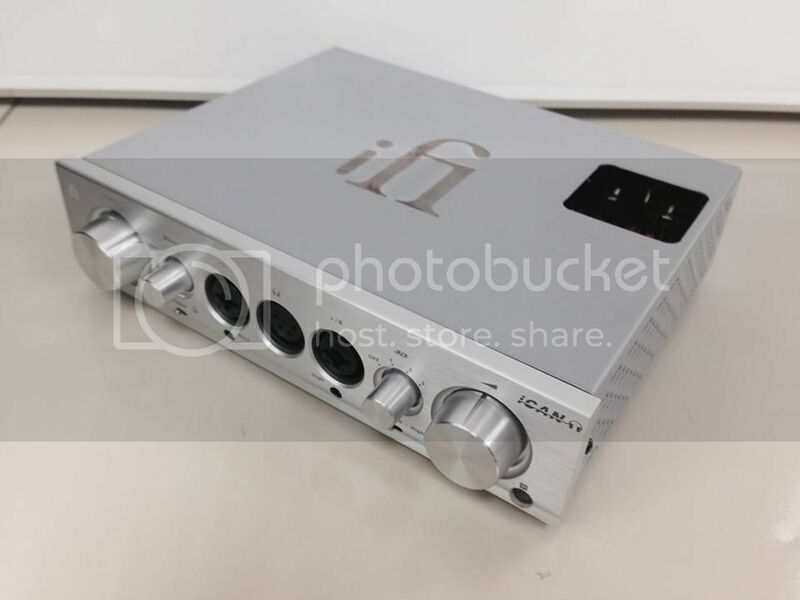 iFi Audio just gave us a teaser to their upcoming iCan Pro around SGD$2,099 estimated, which is part of their new Pro series now in Beta product specifications. As you know, there is the nano, the micro and the mini series which has now be renamed the “Pro series” which is the flagship (or helicarrier?) of the iFi range. It is serious for not only the professional audio market, but home audio too. The Pro series – planned are the iDSD, iCAN and the iUSB Power and others. In terms of sonic results, the iCAN will be all out assault at the state of the art and drive every headphone out there. Even electrotatic Headphones like Stax can be driven (but requires a special external energiser module - separate item). As is often the case, we got carried away and instead of making the iCAN+iTUBE, we combined the two. And just for kicks, we added a Pre-Amplifier. So the iCAN is now the iCAN + iTUBE + iPre all rolled into one. And then just to really things really interesting, we have put in TWO amplfication sections for the customer to choose. Read on. Balanced Output options on 3-Pin & 4-Pin XLR plus 6.3mm Jack on front panel. Unbalanced outputs on 6.3mm Jack (direct) and two 3.5mm Jacks with built-in fixed iEMatch attenuation on front panel to drive IEMs etc. 1 pair of XLR Inputs and three pairs of RCA Inputs. > 20V maximum output, > 600mW into 600 Ohm headphones, appx 16,000mW maximum into 16 Ohm and appx. 6,000 mW continuous output into 16Ohm. Three levels of gain selectable from Front Panel. Balanced ALPS Volume control with remote control. 3D Holographic® for Headphones and XBass® (each adjustable in 3-Levels + Off). Class A operation for all stages up to 500mW/16 Ohm, pure Class A at all levels for Headphones > 120 Ohm. Circuitry derived from professional tube-based studio equipment, implemented in a hybrid design mixing Tubes or J-Fet Inputs (selectable) with Bipolar Transistors and Mosfets. 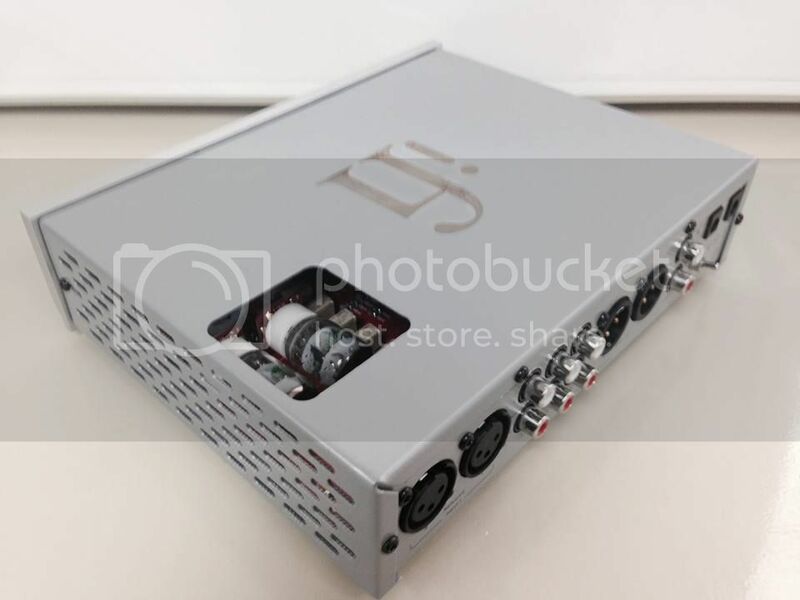 Full Dual-Mono design including internal power supplies, supplied with 15V/4A Ultra Low Noise PSU (Generation 2 same as iPOWER). 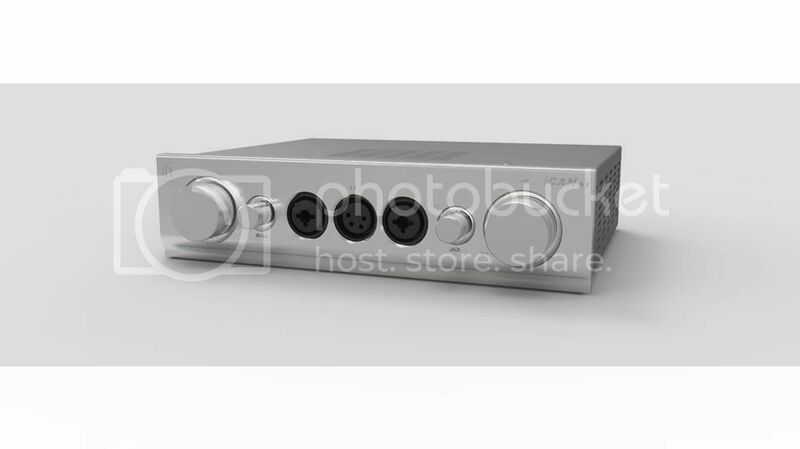 Optional Electrostatic Headphone Energiser in separate Box will be introduced, 1,700V Peak-Peak maximum output, Bias selectable for Stax HiFi/Pro, Sennheiser and others, Output Levels selectable, 3 * Stax Pro & HiFi Sockets fitted. And you want more? Well, here you go with pictures of the current beta. We hope you found this interesting! This was the original CAD render of the iCAN Pro. This is a front shot of the iCAN pro (beta). This is a top-down shot of the iCAN pro. The two valves are GE5670s, one for left and one for right channels. It is a true balanced design which is perfect for headphones. 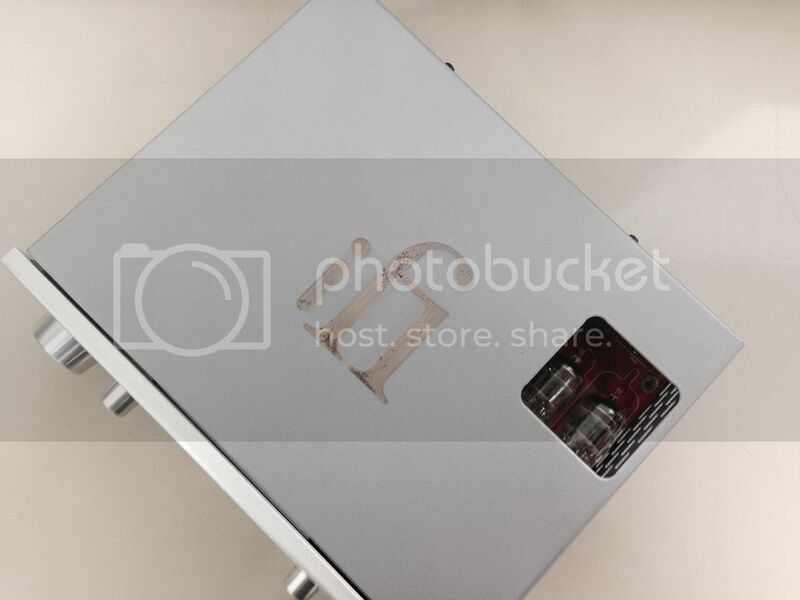 The is a pic of the rear panel.